Linden Estate was established in 1971 by Wim Van Der Linden, an immigrant from Holland, and his wife Maria. Wim, a civil engineer by profession was seeking a new lifestyle pursuit that involved his young family. Both Maria and Wim had enthusiasm to grow and make their own wine, this dream began in the Esk Valley, Hawke’s Bay. It was established at a time when there was only 80 winemakers in New Zealand, with just 7 in Hawke’s Bay and 1 in Marlborough. With this pioneering foresight Linden Estate is proud to be the 8th oldest winery in Hawke’s Bay, there are over 60 wineries today! From 1971, the first grapes were planted on site with the assistance of Sir Tom McDonald and McWilliams Wines, establishing 12ha of Palomino and Riesling vineyards. Wim and Maria began making wine in 1979 and slowly built their reputation under the Linden Estate brand. Throughout the 1980’s the 5 Van Der Linden teenage children were very active in helping their parents. In 1991 a careful re planting program began with classic grape varieties including Chardonnay, Sauvignon Blanc, Merlot and Cabernet Sauvignon. The new and current winery facility was completed. Chardonnay proved to be Linden Estate’s first medal winner and was selected for first and business class services on Air New Zealand flights throughout the 1990’s. Much of the wine was exported to the UK, USA, Canada, Netherlands, Denmark and Taiwan. In 2001, Linden Estate was sold to a Canadian couple whom were unable to maintain the reputation that the Van Der Lindens had built. 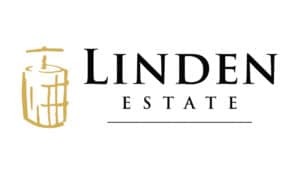 In 2006, farming neighbour and businessman Bruce Jans purchased Linden Estate, with a goal of re-establishing the Linden brand as a producer of quality wines. With a completely new and passionate team, our aim is to make premium boutique wine. Our hard work and attention to detail is key to growing exceptional fruit and, as a result, our wine achieves depth, richness and complexity with intense fruit flavours. The Van der Linden pioneering foresight continues in our beautiful valley. Today, we produce Chardonnay, Sauvignon Blanc, Gewurztraminer, Pinot Gris, Viognier, Pinot Noir, Pinotage, Syrah, Merlot and Cabernet Sauvignon.